In the last 12 months, 371 people have been shot to death in the city of Chicago. The total number in 2018 was down compared to the year before. But even if you don’t live in Chicago, you’ve probably read about gun violence in Chicago in some way. Whether it’s in a news headline, on TV, or on social media. 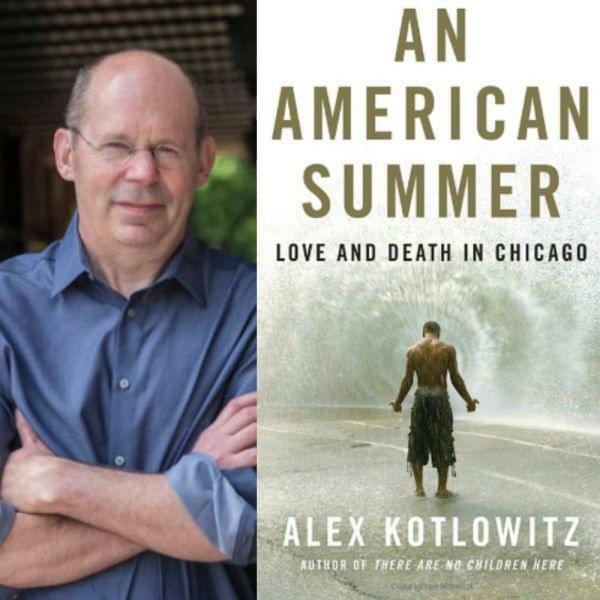 His most recent book is called “An American Summer: Love and Death in Chicago.” It traces many different ways people’s lives can be touched by gun violence. There’s only one remaining Blockbuster in Bend, Oregon. While people have been mourning the chain's demise, it doesn’t mean that the appetite for brick and mortar video stores has completely disappeared. Here in Illinois there are thriving video rental shops and memories of some great ones that closed not too long ago. Jeff Packenham is the manager of a couple Family Video locations in Springfield. Geoff Merritt is the former owner of a longtime independently owned video store in Champaign-Urbana called That’s Rentertainment. That's Rentertainment shuttered its doors in 2015. "It was heart-wrenching on many levels." But Geoff Merritt continues to own @ParasolLG in CU.